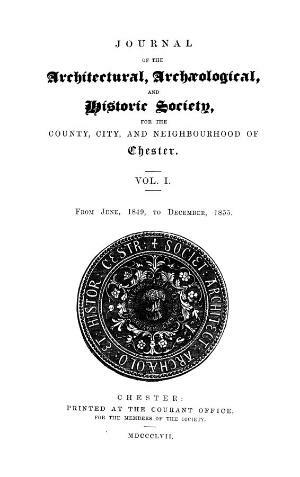 The irregular periodical of the Chester Archaeological and Historic Society. The periodical's main contents were articles on the archaeology and history of the Chester area and northeast Wales. The periodical was edited by the historian, John Parsons Earwaker (1847-1895). Associated titles: Journal of the Architectural, Archaeological and Historic Society (1849; 1895).